"Matty T Wall, an extraordinary blues-rock guitar player, singer, songwriter. 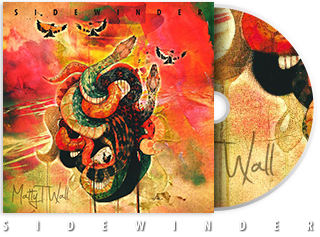 Echoes & elements of rock from the 60’s, but Wall’s voice hurls it into the 21stcentury, his dazzling guitar licks and solos not of this world. Wall is entitled to a little swagger—he has the chops to pull it off. Extraordinary guitar player. Jazz flavors, soul. Gritty blues-rock, rock & roll, with outstanding musicianship."